Constitution 18mm thickness plywood and aluminum frame with high hardness . size 1m * 1m , 1m * 2m , 1.22m * 1.22m , 1.22m * 2.44m ( 4 * 4 / 8 feet ) . Material Aluminum 6082 T6 and 18mm thickness stage board . Function Widely use in all kind of events . Loading 400 kg / square meter . 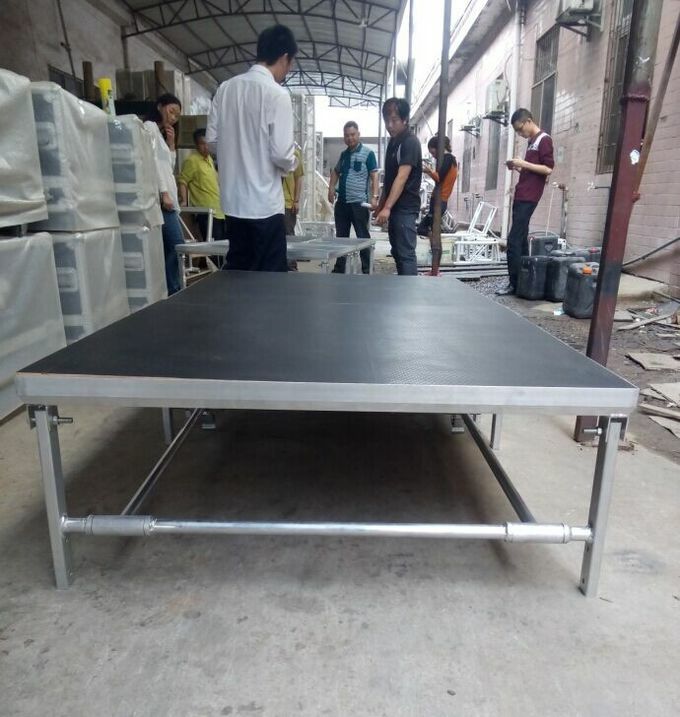 Other stage Aluminum stage,folding stage,assembling stage and waterproof anti-slip simple moving stage are available . 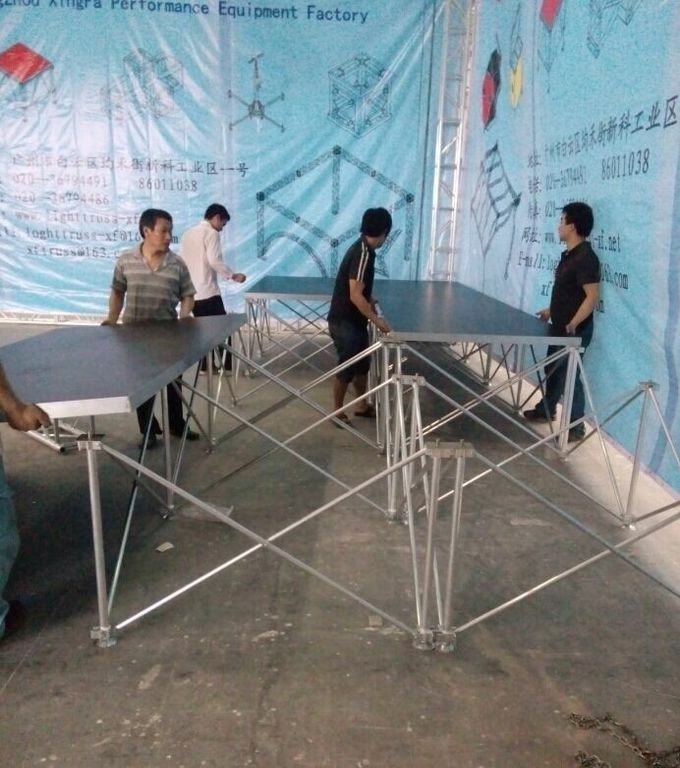 Aluminum portable stage is very convenience to moving and take. 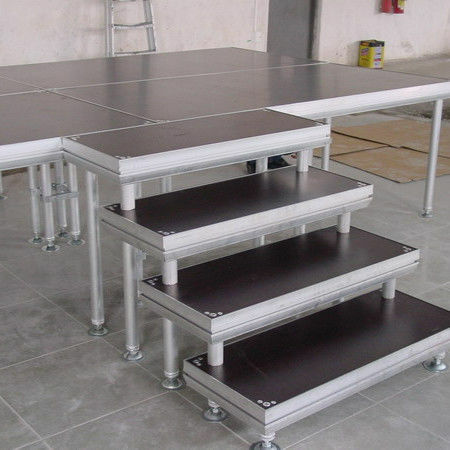 the type can be changed in different event when use together with stage stairs and other parts ,can have good effect , we can have many kinds of beautiful design as client’s need. the height can be adjustable and very easy to install and dismount. we would like to do our best to meet the clients' require!